Bi-State Development uses an on-line bidding system called iSupplier/Sourcing. You need to be an iSupplier user with a login and password to view and bid on any BSD solicitation. This service comes at no cost to you but you must have an internet connection and an email address. BSD is committed to maximizing Disadvantaged Business Enterprise (DBE) participation. All DBE firms are invited to fully participate as a primary firm. BSD strongly encourages meaningful relationships with minority, women, and socially and economically disadvantaged business owners wherever possible. These kinds of relationships will assist in establishing a level playing field. See our Supplier Diversity section for more information. Our suppliers are required to comply with all applicable Equal Employment Opportunities laws and regulations. You can access any previous quotes you submitted as well as any purchase orders with BSD, including payables information.  If your company has never done business with Bi-State Development click on the following link to get your user ID and password. Below is a link to access a user guide for iSupplier/Sourcing. We suggest that you don’t download or print this guide but save the link in your Favorites for easy availability. The index in this document is tabbed; just click on a subject and it will take you to that page. Whether late by seconds, minutes, hours or days a bid/proposal which is not submitted through iSupplier/Sourcing by the stated time will not be accepted. At the specified closing date/time the on-line bid will no longer be accessible. Sealed bids are publicly opened at the time and place as stated in the bid document. Each bidder’s name and the total amount of the bid are announced. Anyone may attend bid opening. Attendance is not necessary to be eligible for contract award. Request for Quotations and Sealed Bid results are also available on line. See the section below Bid Tabulations. BSD’s Procurement Department will evaluate the apparent low bid as to responsiveness and responsibility. Request for Proposals are not publicly read. Details for the proposal selection process are provided in the request for proposal documents. Click on the following link to see a listing of available bid results. Click on the PDF icon in the right hand column to display details. This information will be available as soon as the bid closes and in the case of sealed bids, the solicitation has closed and is unsealed. Unless the bid results indicate “Awarded” these are initial bid results only and should not be construed as being final results; nor should this listing be considered a notice of award. In some instances, the apparent low bidder may not be the successful bidder. Award will be made to the lowest responsive and responsible bidder that has been determined during the bid evaluation process. You must be registered with Public Surplus to bid on these items but registration is free.